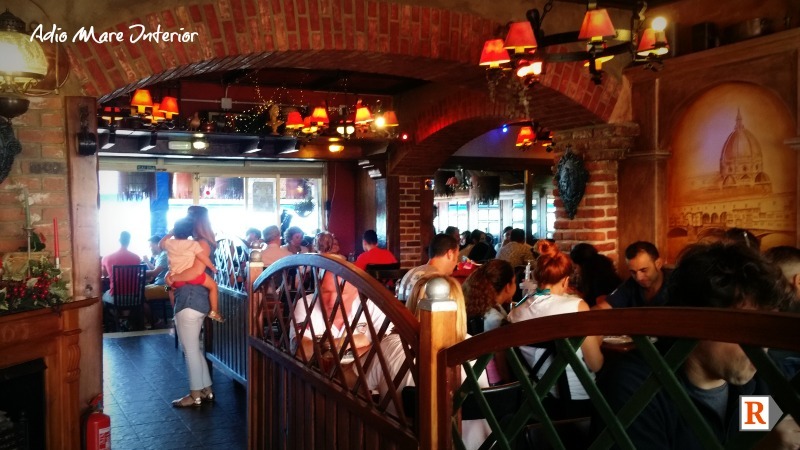 The Addio Mare Restaurant & Pizzeria (also known as Adio Mare) in San Agustin is one of the most popular restaurants amongst us residents. All of our family members love coming here and we often bump into friends here by coincidence! 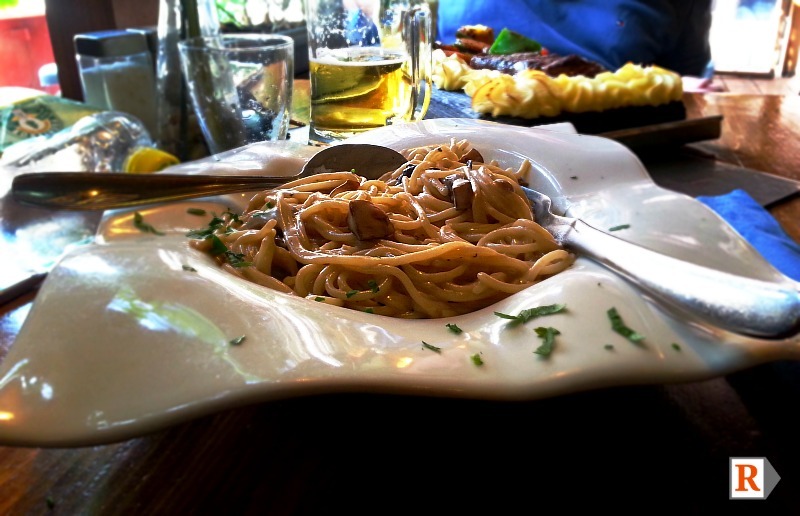 We don’t know how Addio Mare do it, but all of their dishes taste great. Of course, we have our favourites, like the Focaccia Rossa and Feta Cheese to start and Spaghetti Marinera and the Solomillo Provenzale for the main course. But no matter what we have tried, it is always tasty, nicely presented and freshly cooked. 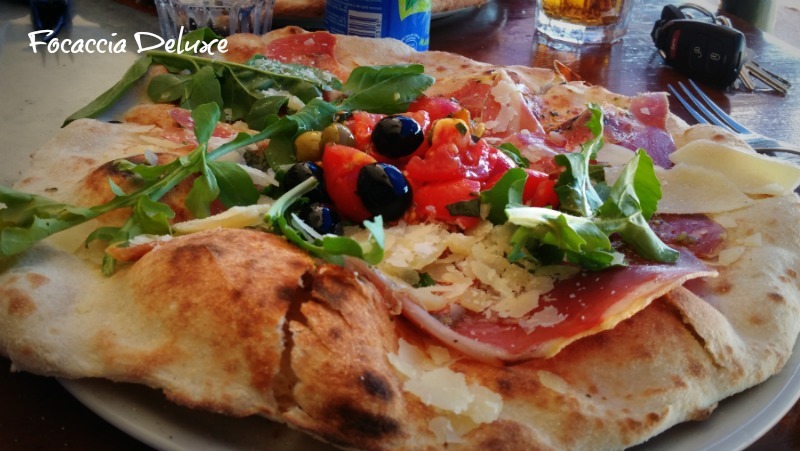 In Addio Mare, they also serve mouth watering pizzas with medium thick dough and also rolled-edged pizzas with an Elemental cheese stuffed crust. All in dozens of variations! 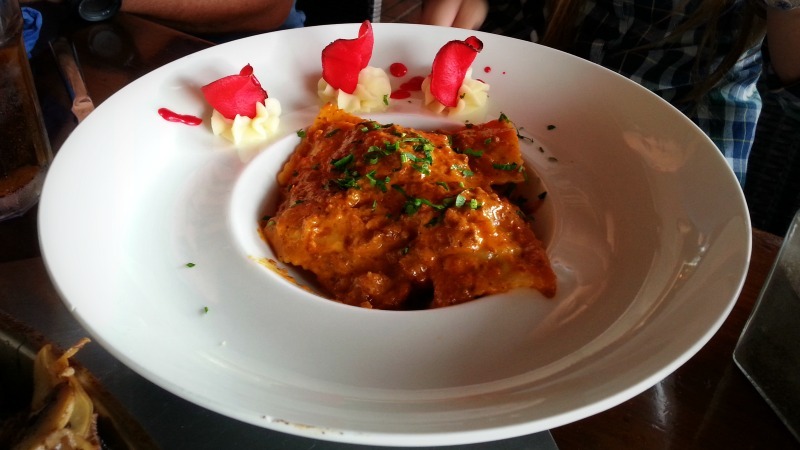 Pasta lovers can try the home-made ravioli, the seafood pasta Spaghetti a la Marinera, or just simply indulge in the lasagne, the Bolognese sauce is delicious! 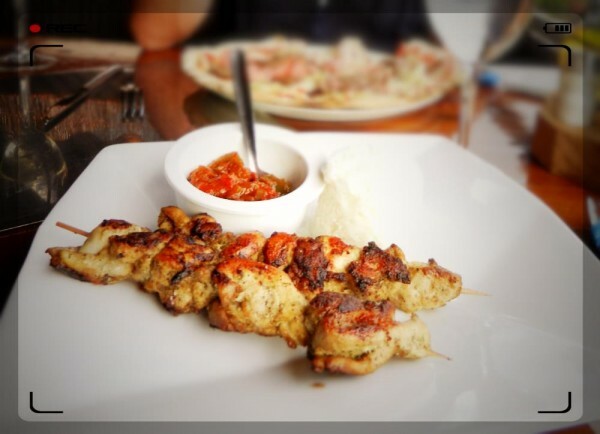 They have even created their version of juicy chicken and meat Greek kebabs – my daughters favourite! Then there are the international specialities, such as a fresh and crisp Greek Salad with Feta Cheese, sun dried tomatoes and olives, or the fried goat cheese with honey and almonds. There’s also a tasty Carpaccio with rocket leaves, focaccia with fresh tomatoes, garlic or rosemary, various salads with additional prawns and fish. The starters alone can make up a complete meal. 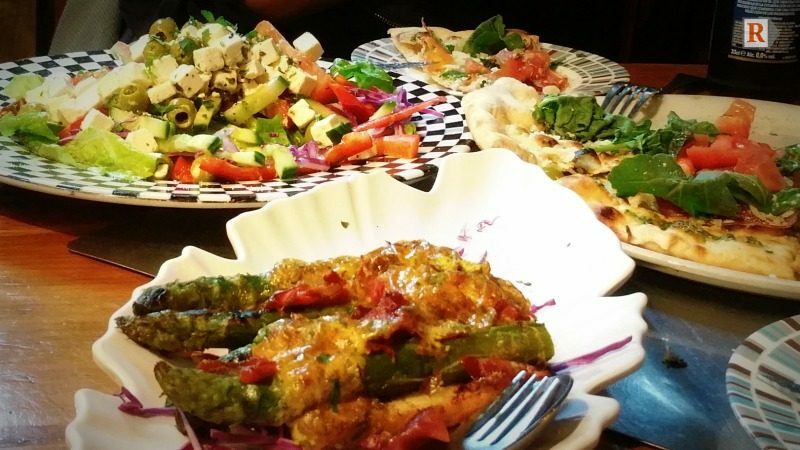 As much as the starters are great, make sure to leave some space for the main course! Addio Mare’s chefs know how to cook their Argentinian beef in such way as to retain all of the juices and tenderness to it. You can choose how you want it served. On a wooden plank, on a large skewer, cut into thin slices, served in a sauce or baked in the oven. You can also order it raw and cook the fresh meat at your own personal table grill to the exact degree you fancy! Their Fillet Steak Provencal for a minimum of two people, is probably the dish which has won over many of their clients to become regulars. 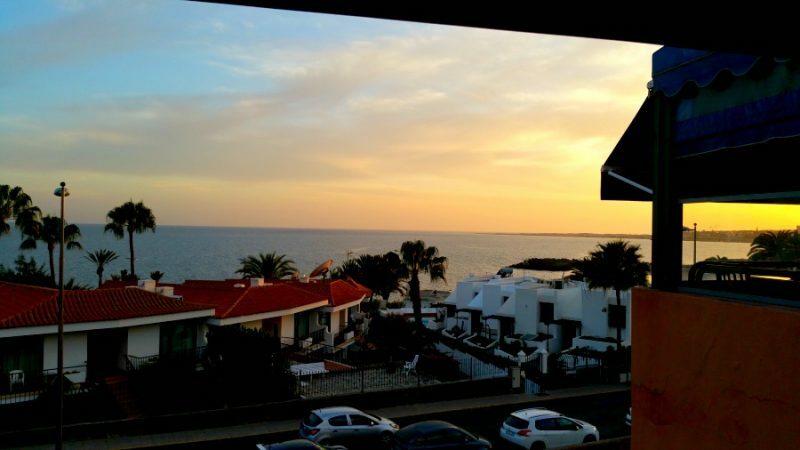 It certainly made us faithful fans of the Addio Mare restaurant. You can just simply see and then taste the best quality of meat which is served in a hot copper pan with a selection of vegetables and potatoes, together with a Bearnaise sauce. 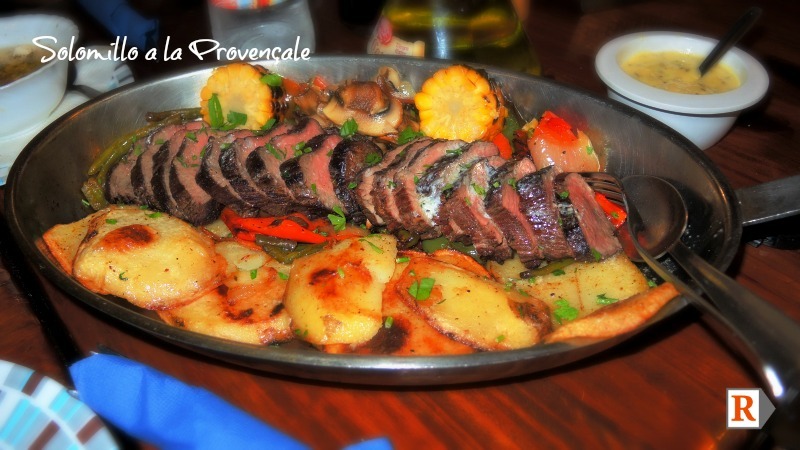 The Espetada from Madeira – a fillet steak hanging on a special skewer to show off the meat, is what made their first restaurant in Playa del Inglés La Espetada famous. 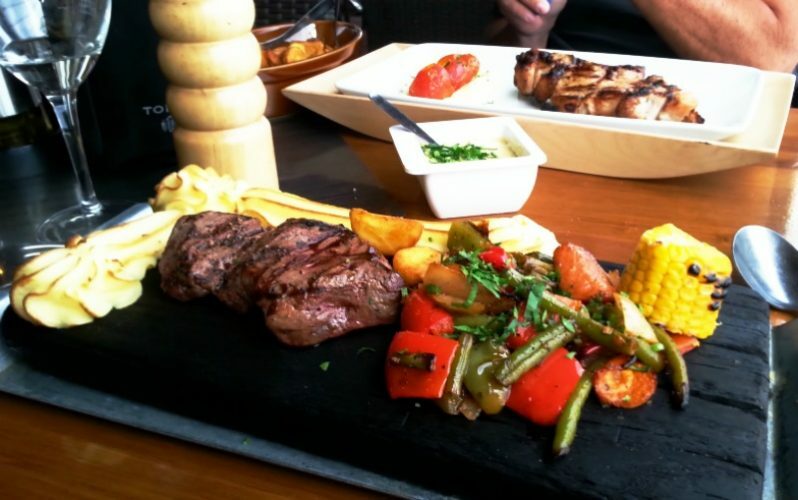 If you fancy fluffy mashed potatoes with a delicious piece of grilled meat, you must try the Plank Steak, which you can see on the picture below. You will not regret it. The owners pay great attention to detail. 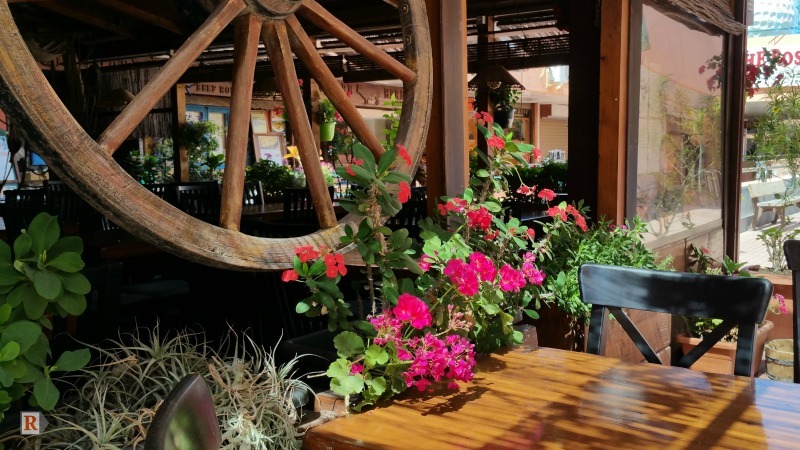 They really want to make you feel welcome, from the little flowers on the table to the tasteful decoration in the interior of the premises, cosiness is their aim. The additional small front terrace has about 10 tables. Although the shopping centre is not very attractive in itself, Addio Mare have managed to create a really nice atmosphere on that little terrace in the middle of the centre. Make Sure to Reserve a Table! In 2014 and 2015, the restaurant expanded into 2 adjacent premises, adding about another 15 tables on the inside and 15 tables on the back terrace. The back terrace, on which smoking is permitted, has become the favourite seating area amongst their guests. Incredibly so, nearly every evening of the week all tables can be taken. 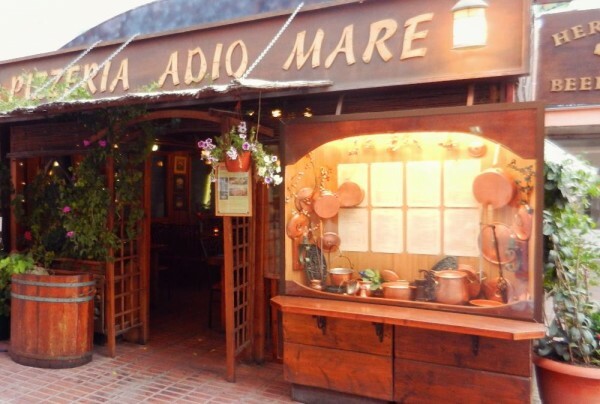 We do not recommend going to Addio Mare during winter on the weekends without a reservation! If you do, you may have to wait an hour or more for a free table to become available. If you are a big party and you do not want to wait, we strongly suggest reserving your table ahead. (Find the telephone number at the bottom of the page.) The peak time is from 19h, as the majority of their guests are Scandinavian and typically, they like to eat their dinner at this time. The view from the back terrace is spectacular. 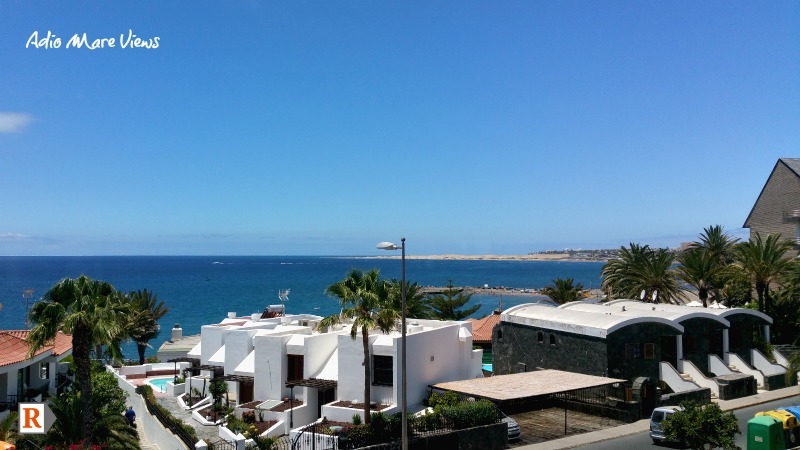 You can see the palm trees, the blue sea, cosy holiday bungalows and even the Maspalomas Dunes beyond Playa del Inglés. We usually go for a little walk after dinner, along the beach walk, to help the digestion of the many gorgeous dishes we’ve enjoyed. So, definitely try it and then let us know what you think.